Brennan Harris: Bio & Choral Music | Santa Barbara Music Publishing, Inc.
Brennan Harris (b. 1993) is a choral conductor, composer, pianist and vocalist. He is currently completing his M.M. in Choral Conducting at The Ohio State University. As an undergraduate, he received a broad and foundational liberal arts education through the Great Books program at St. John’s College in Annapolis, MD. 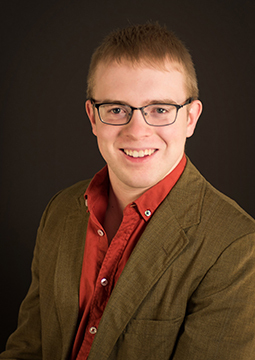 His compositions and arrangements are frequently performed by the choir at Resurrection Evangelical Lutheran Church in Hilliard, OH, where he is the Director of Music, and by the Statesmen, a select a cappella ensemble within the OSU Men’s Glee Club. Brennan Harris has 1 titles published with Santa Barbara.